(PRLEAP.COM) Gray, Tenn. - December 2, 2016. - As the number of homeschoolers continues to grow and the vision of choice in education expands, The Old Schoolhouse® Magazine reports that United States President-elect Donald Trump has favorably acknowledged the homeschooling community in campaign speeches around the country. In addition, at the Family Research Council's annual Values Voter Summit, Mr. Trump stated, "School choice means that parents can homeschool their children. 100%." In the last six years, the number of homeschooling families has grown from 2 million to 2.3 million in the United States alone.1 Many factors contribute to the decision to homeschool – student safety, quality of education, special needs concerns, and religious beliefs and values. Home education isn't new. In the United States, historical figures such as Abraham Lincoln, Booker T. Washington, Thomas Edison, and Frank Lloyd Wright were homeschooled. And now just might be the easiest time to educate at home. It is legal in all 50 states. 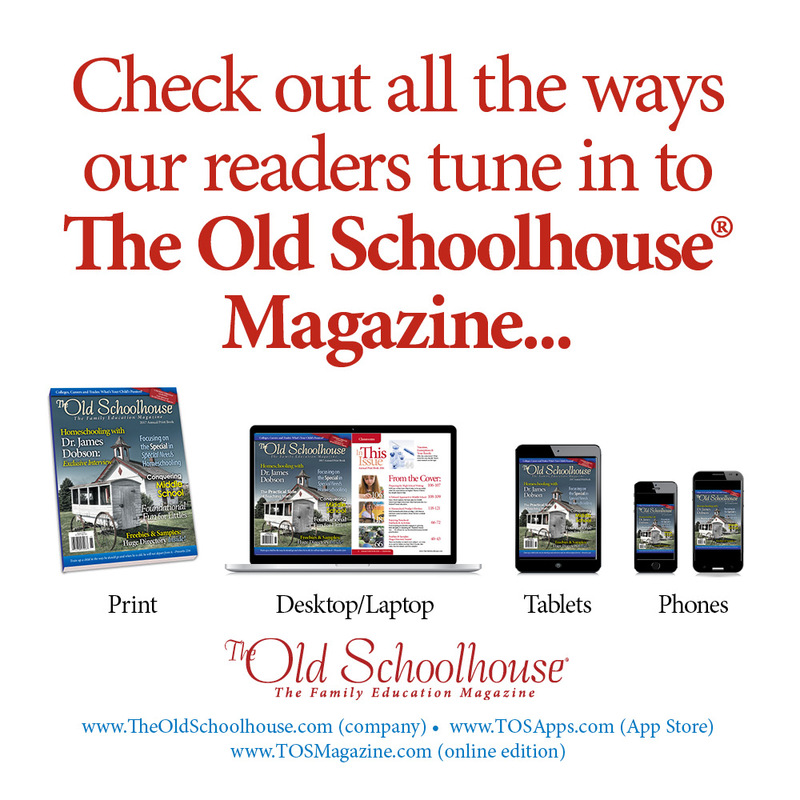 The Old Schoolhouse® Magazine is a resource for information and encouragement for families seeking to homeschool or already doing so. Printed annually and available in a free quarterly digital format online, or by free app, the magazine features authors and columnists, experts in their fields, who provide quality content. The Old Schoolhouse® (TOS) makes available at no cost an enormous homeschooling information package available at www.TryHomeschooling.com. Research shows that parents are more than capable of educating their children at home. The parent/teacher knows what is being taught and has the freedom to tailor the education to the child's strengths, interests, and weaknesses. According to a survey of homeschoolers conducted by Dr. Brian Ray and the National Home Education Research Institute, homeschoolers consistently perform above average academically.2 These results are not based on, or related to, the parents' education. Other research points to above-average SAT and ACT test scores for children who are homeschooled. Homeschoolers spend approximately $600-900 per year per child on curriculum and other materials.3 Typically, curriculum is the biggest expense, The Old Schoolhouse® reports, but there are numerous ways to save money without skimping on a child's education, including frequenting the library, buying used curricula, and utilizing online sources. One such online resource families have discovered is www.SchoolhouseTeachers.com, a division of The Old Schoolhouse®, which is an affordable online curriculum platform hosting more than 300 courses designed especially for homeschooling students, pre-K–12th grade. With a reasonable monthly subscription, parents gain unlimited access to classes, a report card generator, course certificates of achievement, an extensive media library powered by World Book, and hundreds of streaming videos, both educational and entertaining in nature. Established in 2001, The Old Schoolhouse® (TOS) was founded with the goal of helping homeschool families gain the facts and inspiration they need to confidently educate their children at home. It has grown into one of the largest homeschooling support companies in the world. TOS resources help home educators produce educated, well-adjusted students who are in high demand in the workplace as well as in colleges and universities across the country.